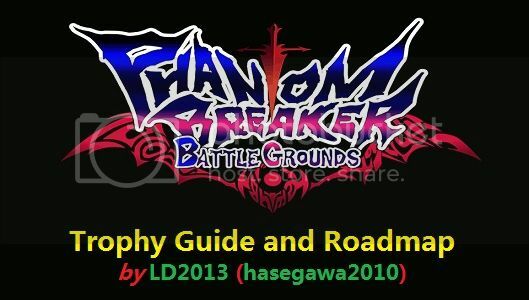 Welcome to Phantom Breaker: Battle Grounds, it's a spin-off game of Phantom Breaker series. If you ever own a Xbox 360, then you may see this game on Xbox Live Arcade. Basically, the game content is the same, however, there are some achievement already removed when the game is released on Vita; therefore, you don't have to worry about those little tough trophies (or I must say achievements). 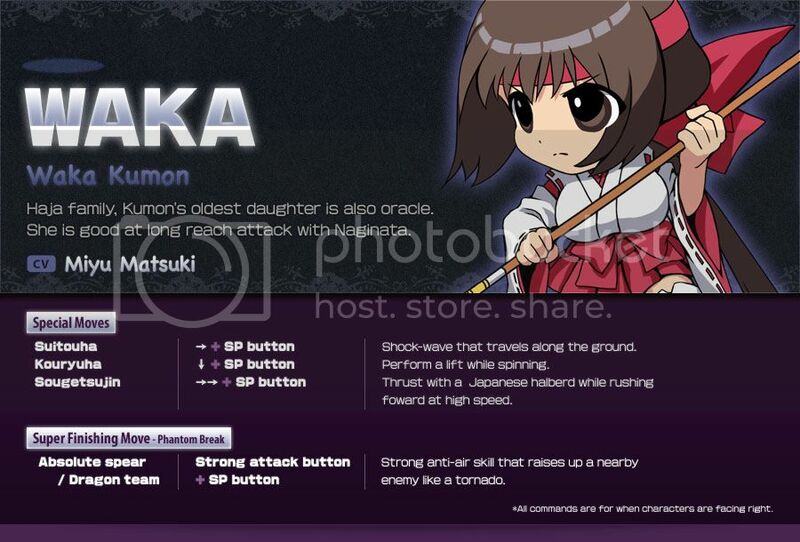 This game is a side-scrolling beat 'em up in which players play as chibi versions of Mikoto, Waka, Itsuki, and Yuzuha as they fight against large groups of enemies and Phantom's minions (such as M, Cocoa, and Infinity) in order to rescue Waka's younger sister (Nagi). The game is pretty straight forward, you only need to eliminate every enemy on your way then defeat the boss to clear the stage. There are 8 stages in total (including tutorial stage), you should start the game on Normal mode then you can unlock Hard mode later. If you are thinking of getting 100% of trophy, I recommend you purchase the DLC pack as soon as you can since you can reduce the minimum number of playthroughs by using the DLC character (Kurisu) for both Normal and Hard mode runs, instead of buying it later then you have to start one more full playthrough. While playing the game, you should take note of one trophy which requires you to do certain task at time limit. Overall, it's easy game, I give it 1 out of 10 because you don't have to start the game on Nightmare mode, you still can grind EXP on Hard mode which is easy due to your high level after you finish Hard playthrough. You can retry to fight the boss again, in case if your character dies. You still gain EXP and don't have to replay the stage again to reach the boss. The only thing you lose is that the Score which you receive from pick the Coins, however, you don't need it for the trophies. It works the same as if the enemies defeat you, just choose continue then you can restart the checkpoint where you are defeated. ATK and DEF are must be full in order to clear Hard mode easily. Throwing (while close, + / ) the enemy is good way to defeat bunch of enemies who surrounding you. You can use this method to fight the bosses on Normal and Hard mode (not work on Nightmare mode since it's hard to stay close to them). You can still throw the enemy even they are still laying on the ground. Please take note that you can't use this method if you already have the first skill (Dash Attack). Basically, just aim for ATK and DEF only until you have some spare points left to equip the skills. While grabbing the enemies before throw them, you are invincible so the enemies can't attack you. You can also throw multiple enemies at same time if they are close to each others. Since there is no trophy involves the Score; therefore, you should try to pick up Ruby gems/crystals only. When you start the game for the first time, the game system will ask if you want to create a save data. You should go ahead and do it, please take note that is Confirm button. After you can access into the game, you need to read HOW TO PLAY in Main Menu (Help & Option) or in Pause Menu during the stage. Choose the Story Mode (in Local Game menu) then pick one of starting heroines: Mikoto, Waka, Itsuki, Yuzuha, or Kurisu (if you already have the DLC pack). If you have Kurisu pack, then you only need to play 2 full playthroughs in order to unlock all trophies, otherwise, you have to play one more playthrough as Kurisu if you plan to buy this DLC pack later. During this playthrough, you only need to clear every stage while trying to get many big Ruby gems/crystals as you can for EXP. Hard difficulty is unlocked after you finish the game on Normal mode. Now, it's time to play the game again on Hard mode. Since your selected character is already at pretty high level; therefore, you won't have trouble to clear this mode. Co-op mode is the mode which allows you to co-op with someone (up to 4 players) online (or via ad-hoc) in any stage on any difficulty mode which you already finished in Story mode. While Battle Ground mode is battle royale which you have to fight against with other players (up to 4 persons). If you already have the DLC pack, then pick Kurisu as your character then you only need to do every mode once. If you don't have any partner yet, then you can find someone in Trophy Boosting Thread. Start another playthrough on Nightmare until you reach stage 6, again keep repeating this stage on this difficulty mode for more EXP. You don't have to fight against the bosses since they won't give you much EXP, besides, they may be too strong for you to handle. Just let them defeat your character, the game will be auto-save at Result screen. Then just exit the current game and play this stage again, repeat it until you reach level 99. It usually takes around 25-30 minutes to clear entire areas in Stage 6, however, you will receive around 42-43K EXP which will make your character gains around 6-10 level (depending on your current level). If you do not try to use other 3 (or 4 if you use Kurisu during previous steps) starting characters, now it's time to do it. Select any character, then exit the game after you can move your character. You need to repeat this step for the rest of starting characters. This trophy will pop when you start the game for the first time (after you create a save data). 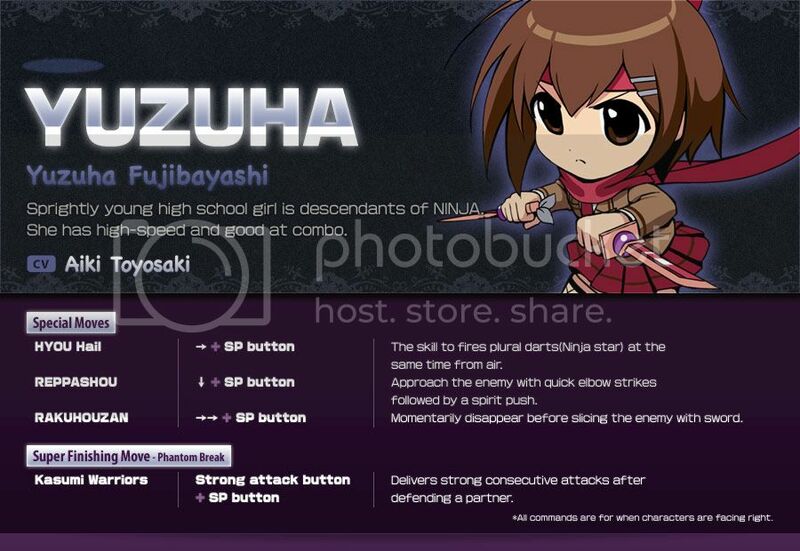 You can unlock this trophy quickly by select any of starting characters (Mikoto, Waka, Itsuki, Yuzuha) in Local Game (Story Mode or Arcade Mode). After you can move your character, immediately exit the game. Repeat this step for 3 other characters, the trophy will pop after you select the 4th girl during the Now Loading screen. HOW TO PLAY is a tutorial which explains the control and skill. At the main menu or in-game menu, select HELP & OPTIONS and then HOW TO PLAY. There are 25 pages in this tutorial, you need to press to move to next page from 1 to 25 to unlock this trophy. This trophy can be unlocked only in Result screen after you finish a stage. 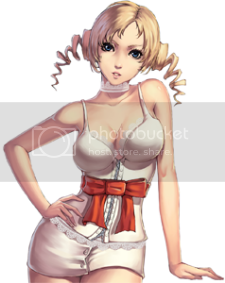 Just pick a girl of your choice then clear the first stage Akihabara, then you will have this trophy. You will unlock this trophy by the time you clear stage 5 or 6 on Normal Mode. Since you gain EXP by collecting Ruby gems/crystals; therefore, you should ignore the Coins which give you the score during the stage, then focus on collecting these gems/crystals. The trophy will pop at Result screen after you clear a stage. You will unlock this trophy by the time you clear stage 5 or 6 on Hard mode. Again, just focus on Ruby gems/crystals only. The trophy will pop at Result screen after you clear a stage. The trophy can be unlocked after you spend skill points on the first skill which is Dash Attack (requires 3 skill points). 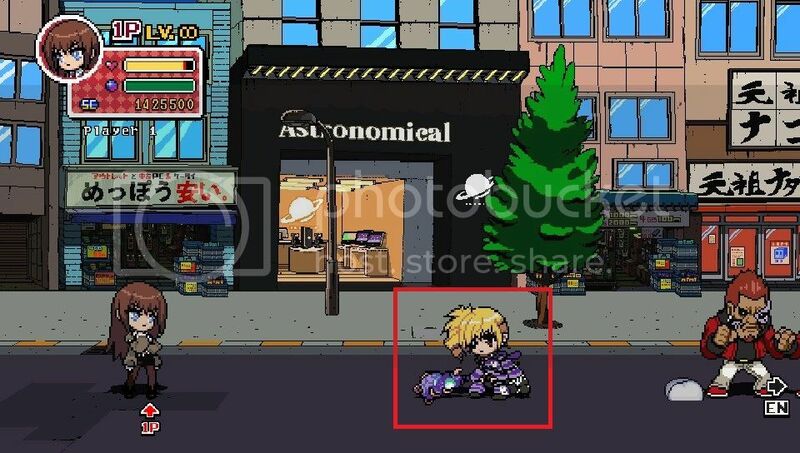 You can get it early in the game after you clear the first stage Akihabara. For some reason, you didn't distribute the point for the Skill Set, then you can do it in Main Menu (Play Game). There is a option which allows you to change Stats and Skill Set. Please take note that you will gain more skill points after you level up. You need 233 skill points in total in order to unlock all skills for any character, you should have this amount of skill point when your character's level is at 46 or 47. Remove all the skill points which you spent on Stats, then unlock every skill for your character. The trophy will pop as soon as you unlock the last skill. This is an online/Ad-hoc trophy, you need to have at least one human player to co-op to clear any stage. The trophy will pop at Result screen. Please take note that if you pick Kurisu as your character then you will unlock this trophy and Kurisu and Phantom Breaker as well. Please refer to the Trophy Boosting Thread in the forum to find someone to get online trophies. To unlock this trophy, you need to play Battle Ground mode online/Ad-hoc with at least one human player. In this mode, you have to fight against other players. The trophy will pop at Result screen, it doesn't matter if you win or lose the match. Since the online community is already dead; therefore, you should look for someone in Trophy Boosting Thread to boost online trophies. 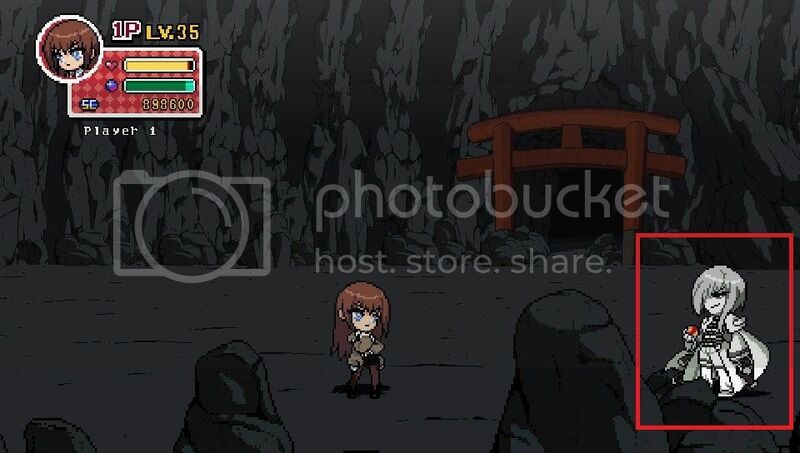 Please take note that if you pick Kurisu as your character then you will unlock this trophy and Kurisu and the Scavenger at same time. This trophy is not that hard as you may think. You can unlock this trophy easily by using Strong Outrange Attack. This attack can be done by pressing :vitar: when your Burst Gauge is at 100%, please keep in mind that 50% is 1 full gauge, so 100% (Full Burst) equals to 2 full gauges. It will start to blink rapidly in light green color by the time it reaches 100%, you should use it if there is bunch of enemies surrounding you, and you also need to attack while performing this attack since it may not reach 100 hit. Hidden characters can be unlocked by clearing the Story mode on Normal and Hard mode, basically, you have to clear the Story mode twice. You will unlock these characters after you clear the game on both difficulty mode. This trophy will pop at Result screen after you clear the last stage on Hard mode. 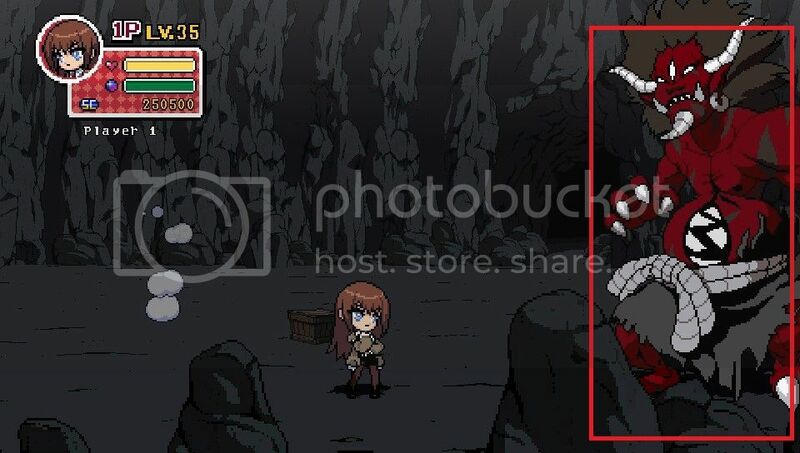 Lily Sparrow bonus stage can be unlocked by defeating the boss in Stage 2: Boat Building before the train/subway leaves the station (please refer to Strange Things to see the pic where the train/subway is). Don't worry, you have enough time to defeat all enemies and the boss even you play the game on Nightmare mode. In case, you take too much time to finish the boss and let the train/subway runs away then you can start this stage again anytime since there is stage select in the game. In this bonus stage, you will have 90 seconds (30 seconds per vehicle) to destroy the monster eggs which will give you big Ruby gems/crystals, you don't have to destroy them all since there is no trophy involves, but you will gain more EXP. This trophy is story-related and cannot be missed. This trophy will pop at Result screen after you defeat the boss in Akihabara stage. You have to fight against M and her minions. 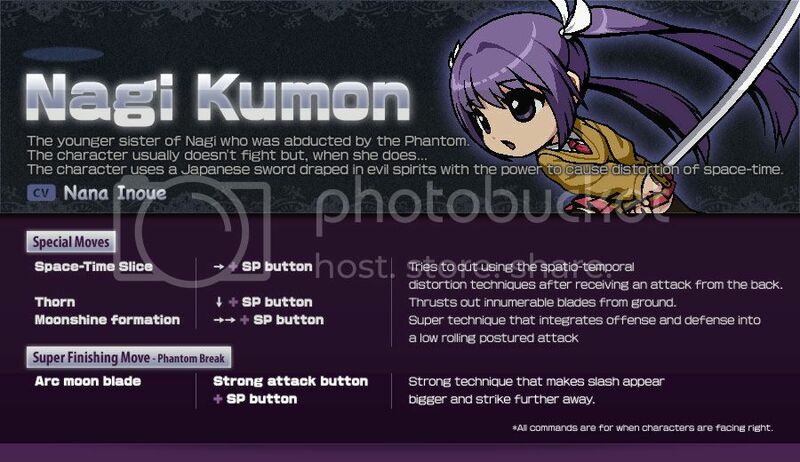 Since it's a tutorial stage, so you can defeat her easily on Normal mode. 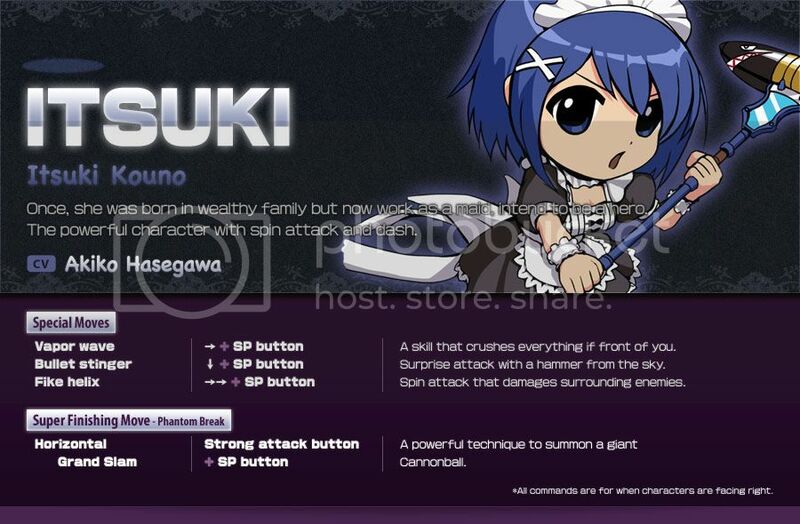 She doesn't do much damage, however, since there is bunch of enemies surrounding you. That's why it's not hard to fight her one-on-one; therefore, you should eliminate all the enemies for EXP purpose then defeat her. This trophy will pop at Result screen after you defeat the boss in College of Music stage. Mikoto W waits for you in Piano room, she has similar attack patterns as Mikoto's. Since there is only 1 enemy stays by her side, you can fight one-on-one with her. By using throwing method, you can defeat her before she can take action. This trophy will pop at Result screen after you defeat the boss in Boat Building stage. Note: You should keep in mind that you need to defeat the boss before the train/subway leaves the station for An Unexpected Train Ride . Cocoa is easy boss in the game even on Hard or Nightmare mode. When you reach the last area of this stage, you will face Cocoa and her minions. 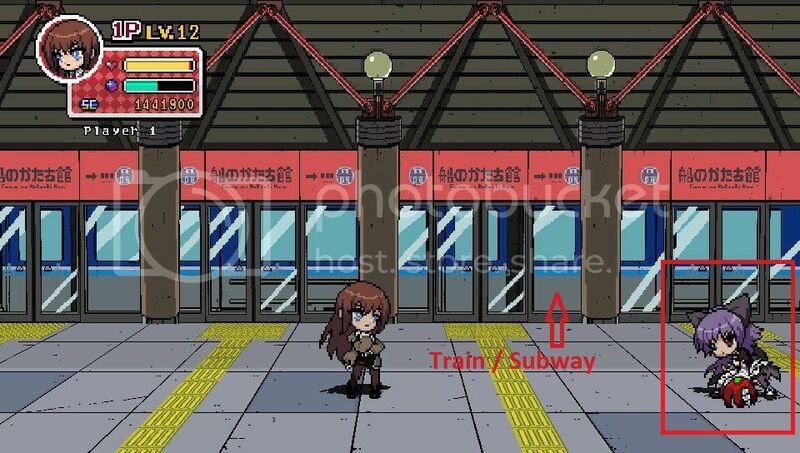 Since you will have enough time to defeat all enemies before the train/subway runs away, that's why you should kill all of enemies before dealing the finishing blow to Cocoa. This trophy will pop at Result screen after you defeat the boss in Ikebukuro stage. Cocoa doesn't accept her defeat in previous stage, now she challenges you one more time in this stage. However, she won't fight you alone, you have to take care of her pet as well. Since the stage will end if you defeat Cocoa, so you should try to defeat the dragon-like enemy first since it has bunch of big Ruby gems/crystals before defeat Cocoa. This trophy will pop at Result screen after you defeat the bosses in Shinjuku stage. This is an unfair fight since you have to fight 2 bosses while avoiding getting from Giant Phantom's arms, basically, this is 1 vs. 3 battle. As I said in above trophy description that Cocoa is weak boss, she is still a weak one in this battle. You should try to defeat M first since she hits really hard. Just ignore the Giant Phantom since you won't have enough time to worry about him while taking care 2 bosses at same time. Keep using Strong Outrange Attack as many times as possible, you may defeat both of them at same time. Note: After the battle, the building roof will collapse. Now you will free fall to the ground, while falling you have a chance to collect Coins and big Ruby gems/crystals. By pressing :up, you will reduce the acceleration which gives you enough time to collect all of them. There is no trophy involves in collecting these things, so you should aim for Ruby gems/crystals only. This trophy will pop at Result screen after you defeat the mini-boss in Kumon Shrine stage. 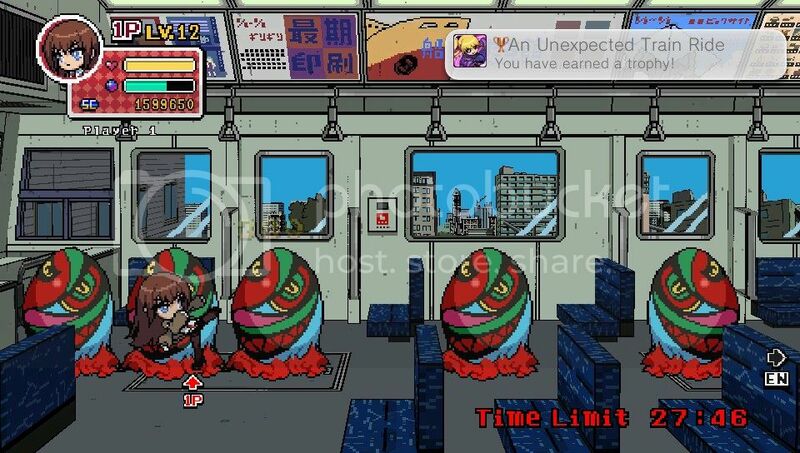 When you reach the last area of this stage, you will encounter Oni mini-boss and 4 Yin Yang Fortune-teller girls. 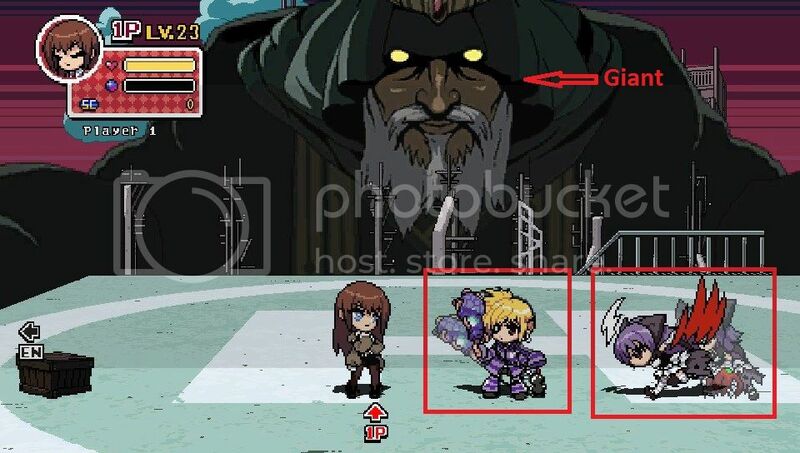 You should defeat these girls first because they can use magic and long-ranged attack. They have strong attack, however, their defense is pretty weak. After you defeat these "little angels", it's time to take care the big brother, you can defeat him easily with throwing method. 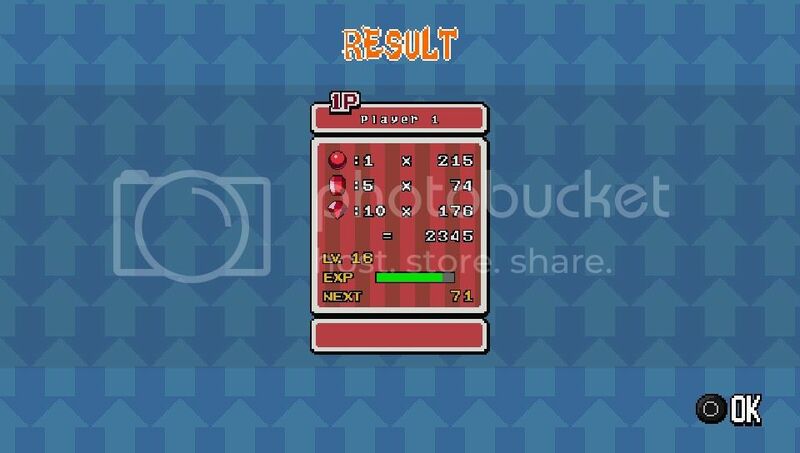 This trophy will pop at Result screen after you defeat the bosses in Demonsphere stage. Congratulation for getting your way out of the maze to reach this area. 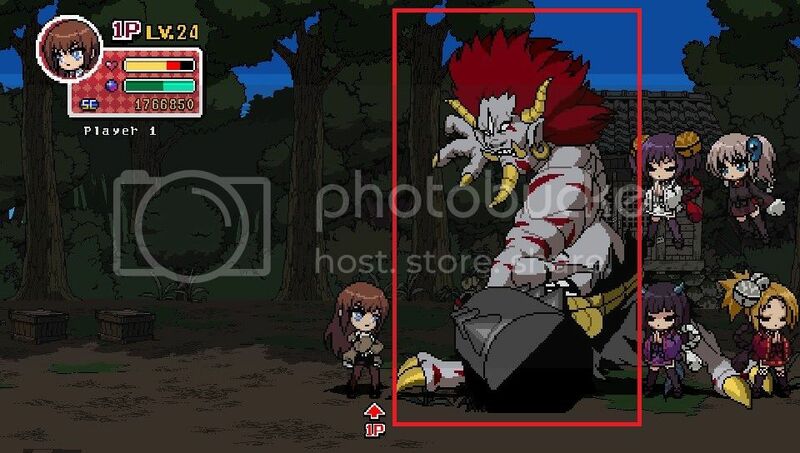 There are 2 bosses in this stage, you will fight against Mikoto W first. 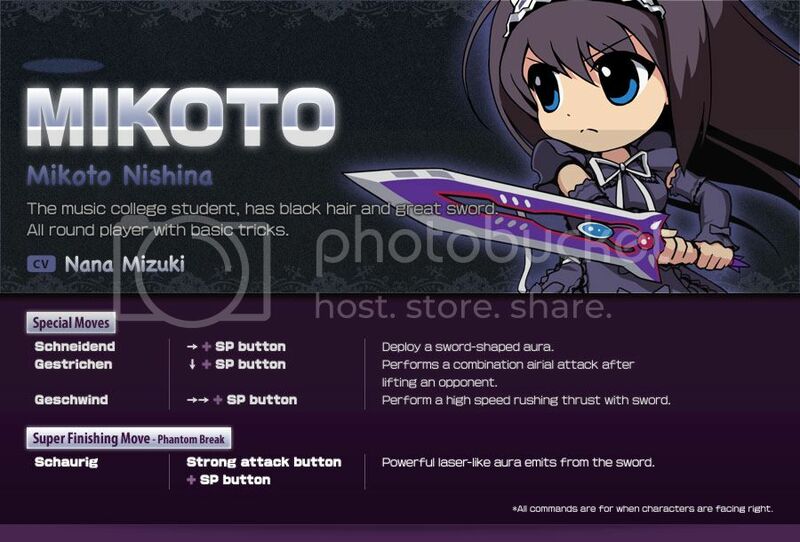 Since you used to defeat her before in Stage 1: College of Music, then you already know her attack patterns well. After you defeat Mikoto W, there is a demon will absorb Nagi and makes her becomes evil person whom you will fight next. 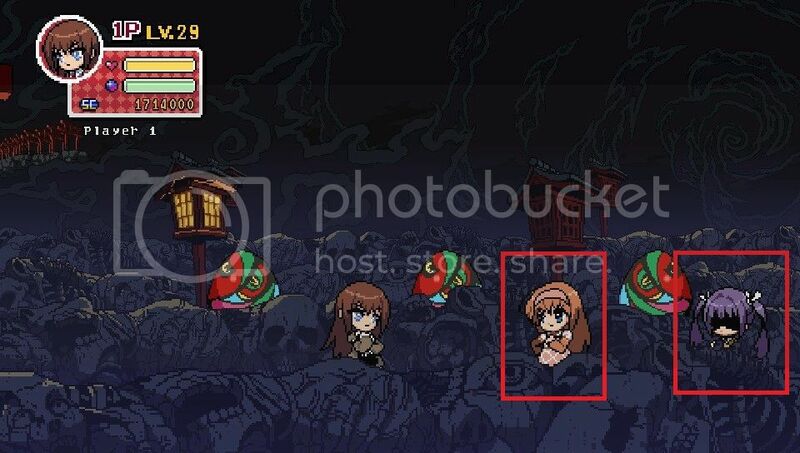 There are some healing item in monster eggs, in case you have trouble to fight against these girls. #1, #2, or #3: is gate number at current area. Seal Stone, Seal Orb, Oni Mask, or Noh Mask: you need to destroy these things in order to access to other areas. Eggs: are monster eggs which contain Coin, Ruby gems/crystals, and healing item. 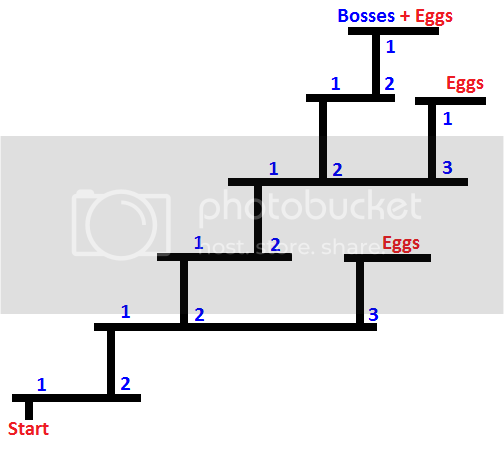 Sometime you will see there are only 2 eggs in current area, you need to destroy them to access to new area. Bosses: the area where you fight the bosses to clear this stage. 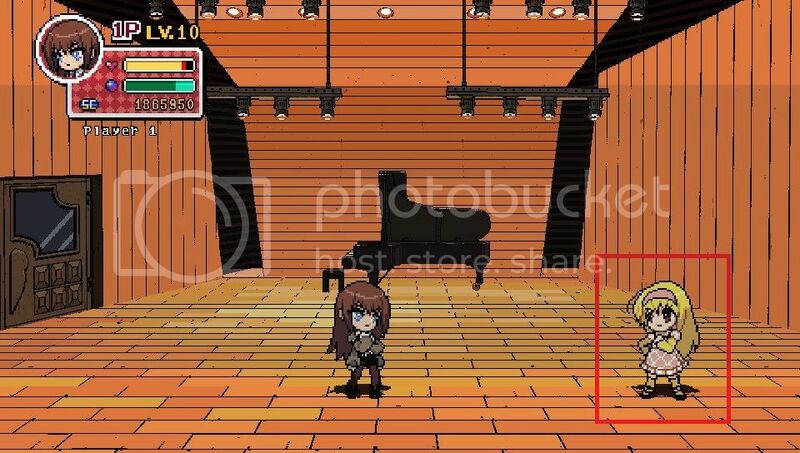 Blue Star: it's a point which splits the image of Nightmare mode by half, you need to finish the first area (1st image of Nightmare mode) then continue to next image. This trophy will pop at Result screen after you defeat the boss in Escape stage. Oni mini-boss and his "little angels" will block your way in middle of the stage. Just use the same tactic you did in Stage 5: Kumon Shrine by eliminate those girls first before take care the big guy. They are little stronger than previous version, however, your level is good enough to handle them. After you reach the last area, you will fight against Infinity. There is no enemy surrounding you this time; therefore, you can fight one-on-one with him to your heart's content. Being as final boss, but he doesn't prove much challenge even on Normal or Hard mode, you can send him to the other side easily by throwing method or just combo attack. This trophy can be done when you pick Kurisu and select a stage in Local Game (it's also unlock in Online mode). The trophy will pop during the Now Loading screen. 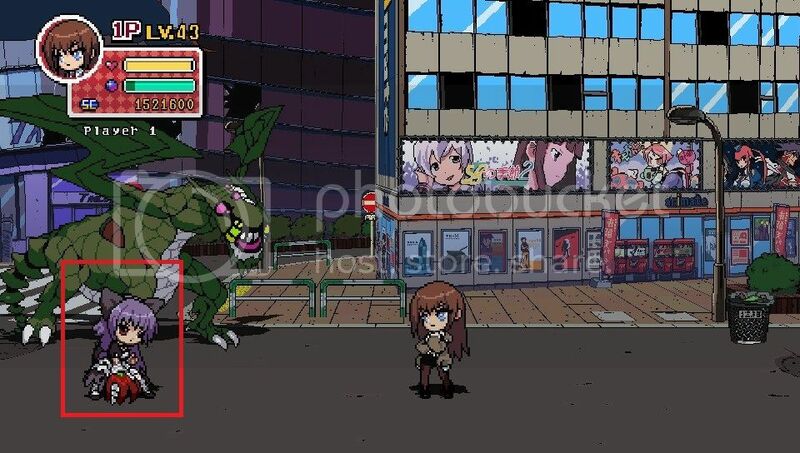 The trophy can be unlocked after you finish the first stage Akihabara using Kurisu as main character. You will unlock this trophy by the time you clear stage 5 or 6 on Normal Mode. 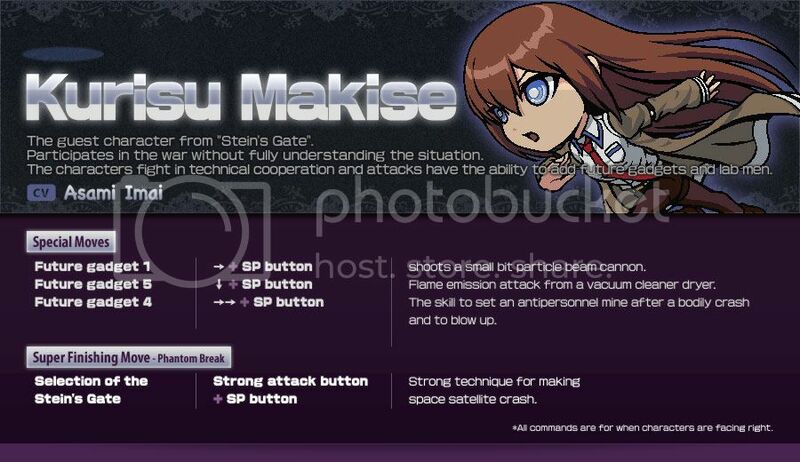 Again, make sure you pick Kurisu as main character. You can unlock this trophy by clearing any stage with Kurisu. 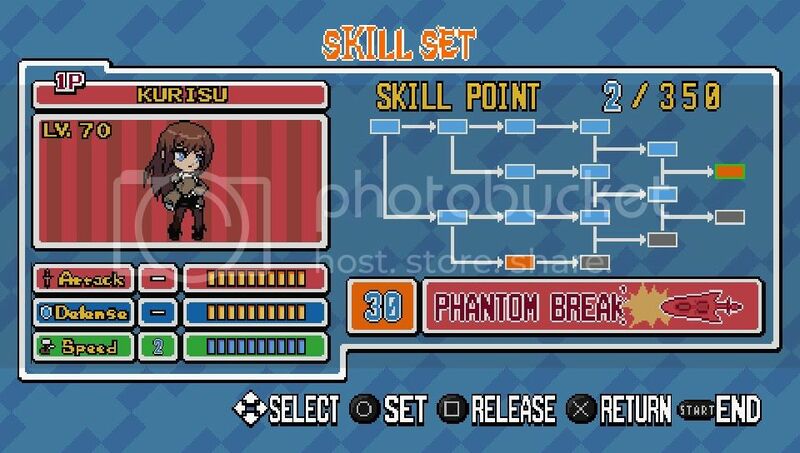 However, you can get it at same time with Kurisu and Phantom Breaker . 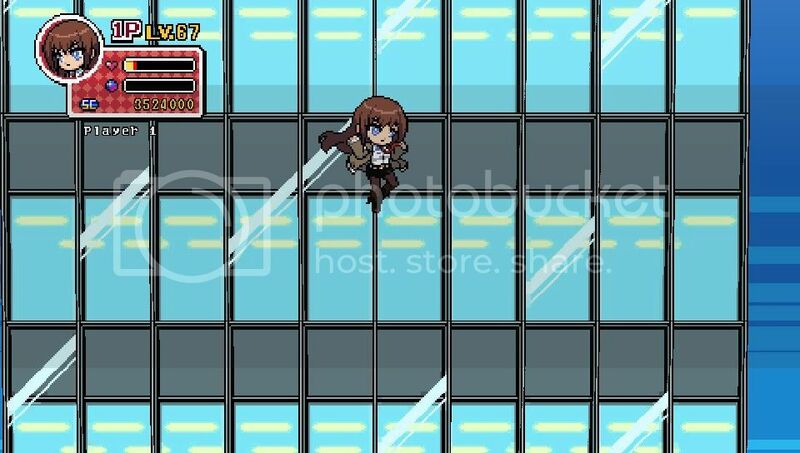 There are 8 stages in Story mode, you have to clear them all while playing as Kurisu. Since 8 stages may take few hours to finish; therefore, you can put the Vita into sleep mode, in case you can't finish the Story mode in 1 sitting. It won't void this trophy as long as you don't turn Vita off or switch to other games then come back to it to finish the rest of remaining stages. This is an online/Ad-hoc trophy, you need to have at least one human player to co-op to clear any stage while you control Kurisu. The trophy will pop at Result screen. 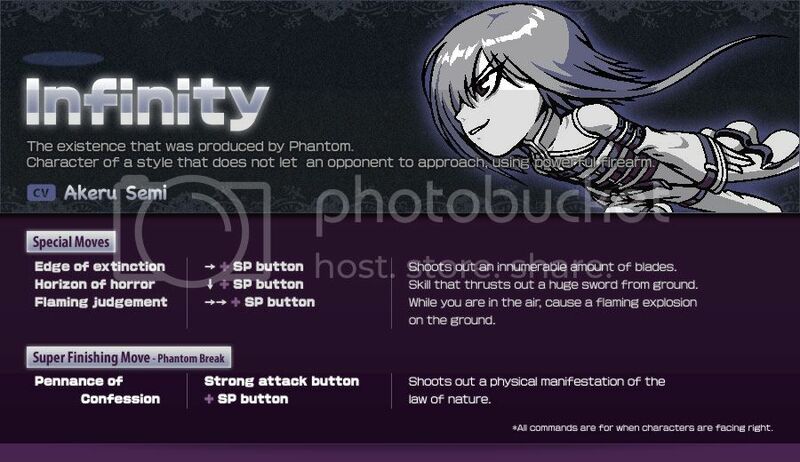 Please take note that if you didn't unlock As a Phantom Breaker yet, then you will unlock both co-op trophies at same time. Please refer to the Trophy Boosting Thread in the forum to find someone to get online trophies. To unlock this trophy, you need to play Battle Ground mode as Kurisu online/Ad-hoc with at least one human player. In this mode, you have to fight against other players. The trophy will pop at Result screen, it doesn't matter if you win or lose the match. You should look for someone in Trophy Boosting Thread to boost online trophies. Please take note that if you didn't unlock Like a Scavenger yet, Then you will unlock both Battle Ground trophies at same time. Offensive strength (ATTACK): If this value rises, offensive strength will increase. Defense power (DEFENSE): If this value rises, defense power will increase. Nimbleness (SPEED): If this value rises, each working speed will increase. Dash attack: A powerful attack can be delivered from a dash. Effectiveness changes dependant upon weak, middle or strong attack buttons. High jump: Jump higher than the usual jump. Push down then up quickly with the L stick or direction pad. Double jump: While jumping, push up on the L stick to execute. Air throw: Move close to the opponent while jumping to perform the throwing action during the jump. Combo (Lv1, Lv2): Normal combo of skills is enhanced. 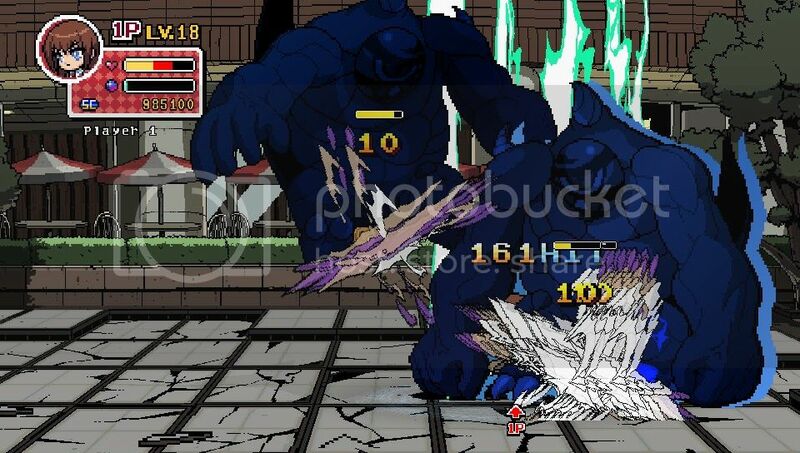 Lv1 during the attack, Lv2 can use a strong attack. Guard Cancel: Allows the following actions while guarding the opponent's attack. Counter bursts (Lv1, Lv2): Press and hold the SP button to perform a "Counter Burst" poised attack during cancellation trigger. At Lv2 it becomes an attack that cannot be defended against. 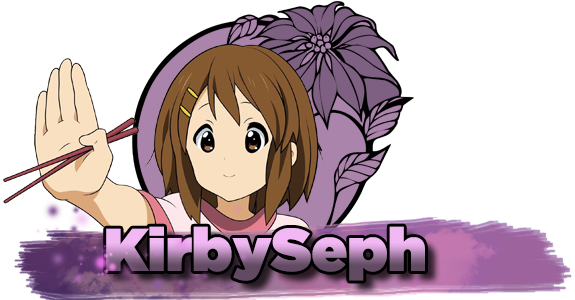 *Usage will consume 0-25% of your burst gauge. Critical Burst: When the burst gauge is 200% and counter burst is at it's maximum level, you can perform an unblockable attack that flings your opponent against the ground and the wall. 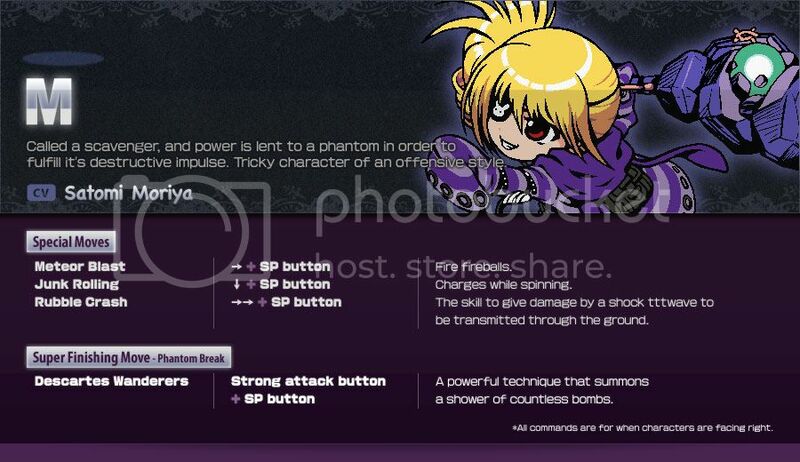 Special skill (Lv1, Lv2): Using the L stick and SP buttons, or the L stick and weak attack button + SP button at the same time, each character's unique special moves can be triggered. Performance and power of the technique depends on the button combination (L stick + weak attack + SP or L stick + SP.) Lv2 skills overall performance increases. A reinforcement finisher: Pushing the L stick and strong attack button +SP button together will execute a strengthened "reinforcement finisher". Burst gauge must be 100% to use. 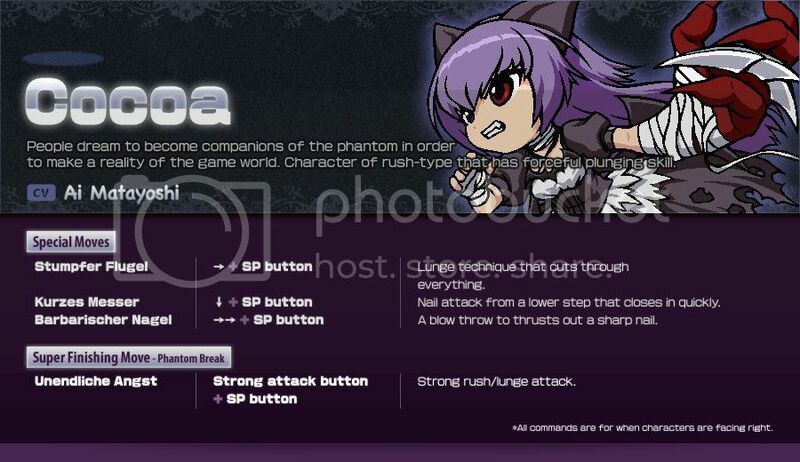 A super finisher (Phantom Break): It is the strongest attack that can give large damage to the opponent. Burst gauge must be 200% to use. OverDrive (Lv1, Lv2): Can continuously attack and slows the movement of the opponent and fires, until the effect expires. Duration is extended in Lv2 and attack speed is increased further. Consumes all the burst gauge when used. Only need to add 1 more image for Stage 6's maze on Nightmare mode . Can you please create a sub forum for this game? Got the 100% earlier today, thanks for the great guide!